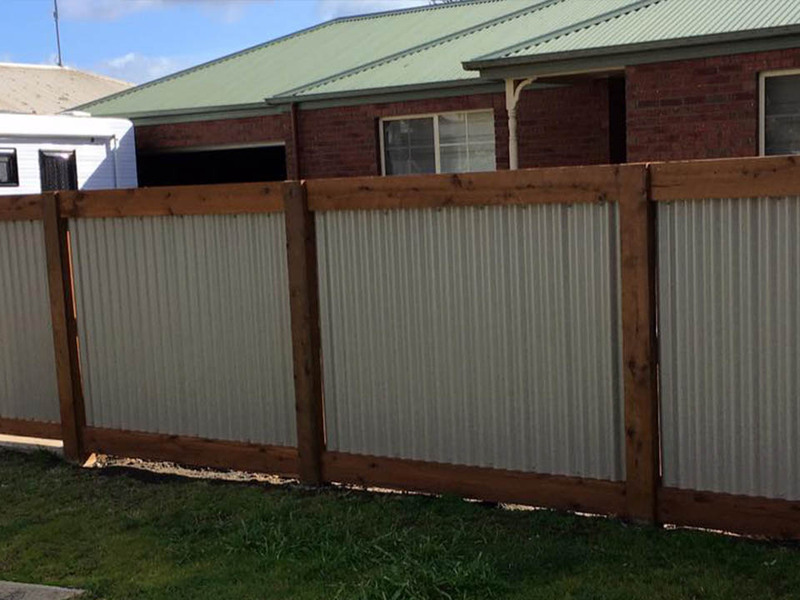 Using true Colorbond® steel these fences have a large range of panels and colors to select from to compliment your home. Gates are customised to complete the look! 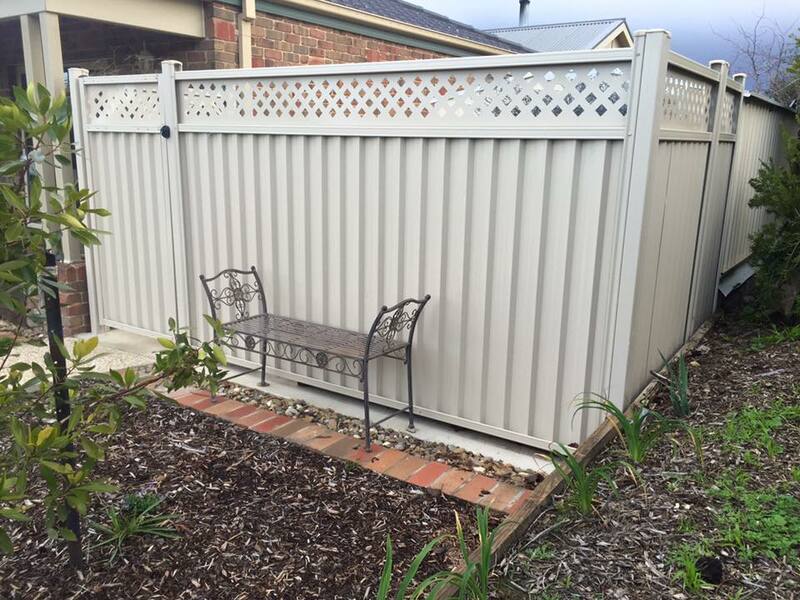 An excellent privacy style fence with the lattice work as an optional ornamental feature. 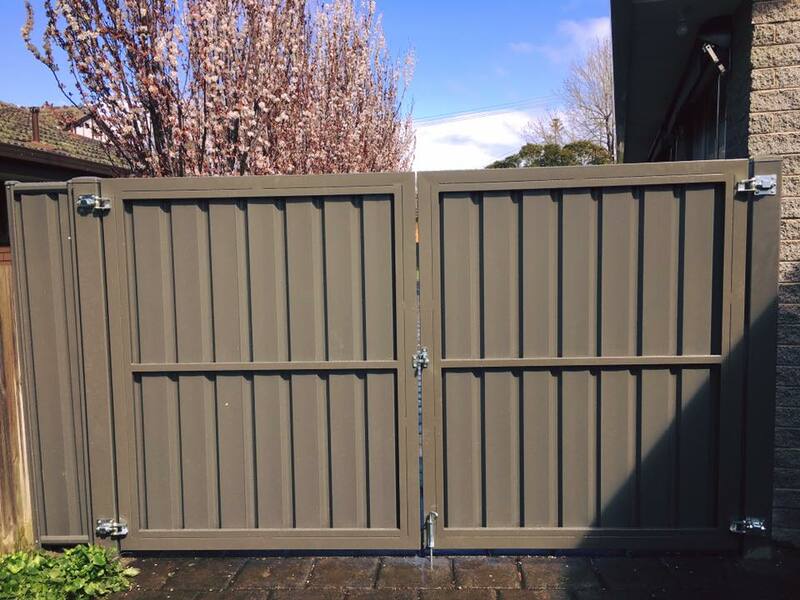 We supply gates and colour match to your desired style. We customise the gates and powdercoat them to suit. 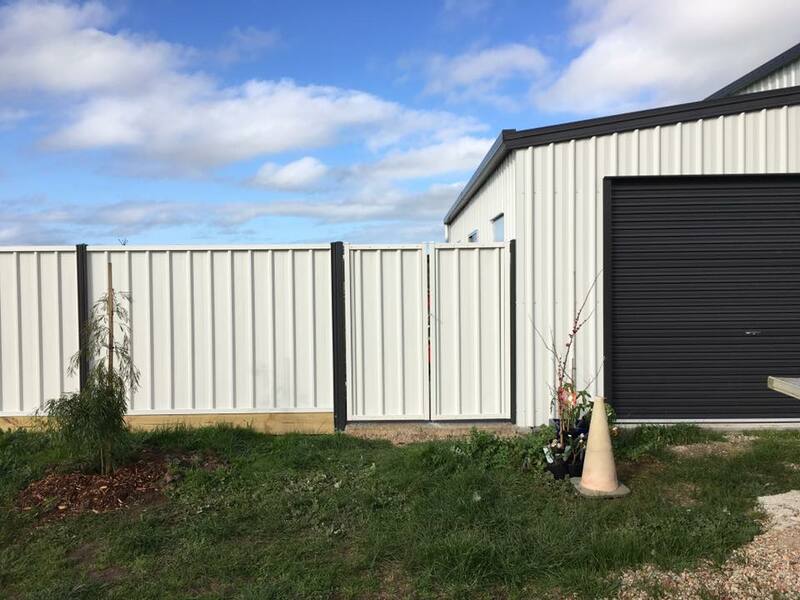 We can colour match for future colours of your home and existing sheds to enclose the backyard as we did on this rural property. 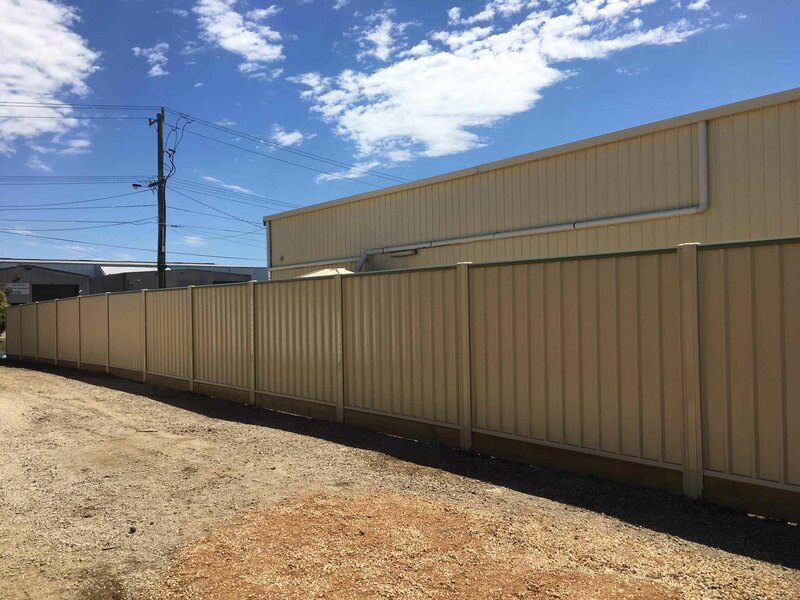 Colorbond® is tough enough to withstand industrial settings. 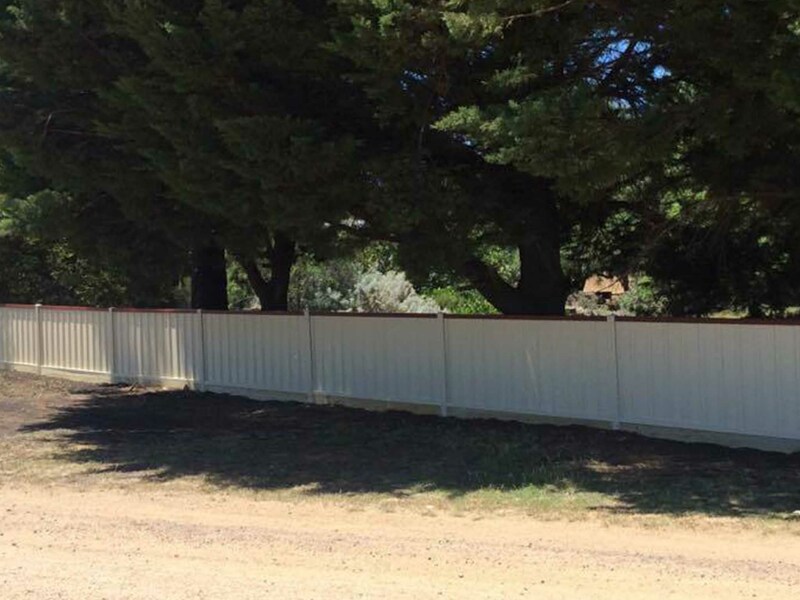 Colorbond® with a twist! 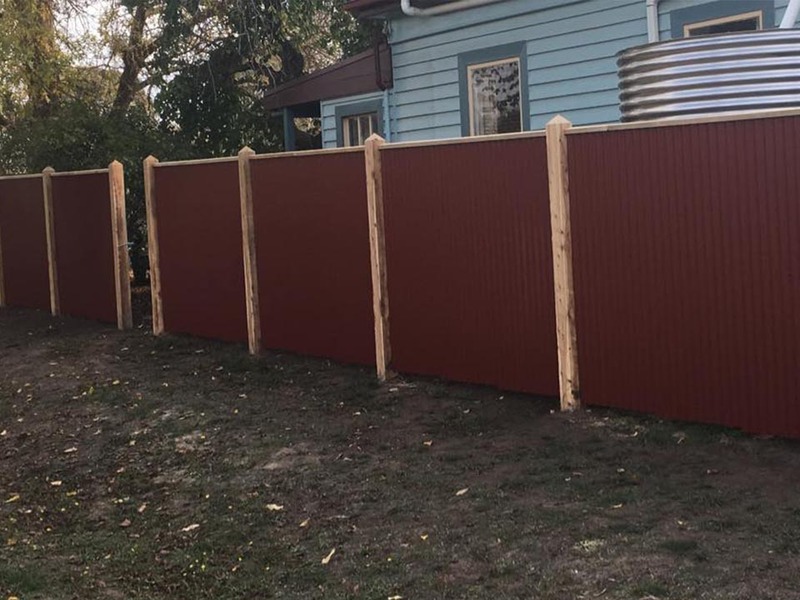 Incorporating the natural colours of the cypress posts, gives this fence a more natural feel in its country town setting. Personalise your fence! Using the same coloured posts and sheets but a different coloured top rail really adds a contrast. 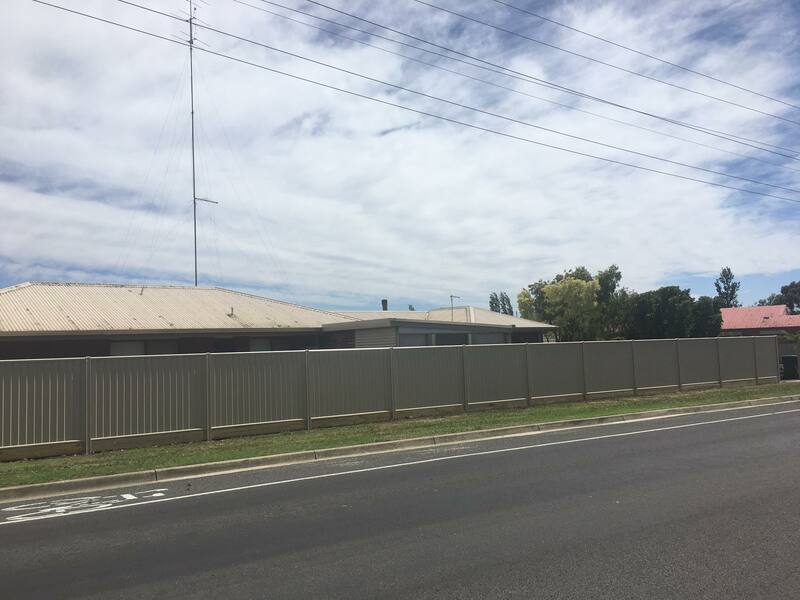 Picture Framing colorbond gives plenty of privacy to a property, softening the industrial look of the fence while still making it a statement piece to your home. Security no matter how large or small your fence may be!